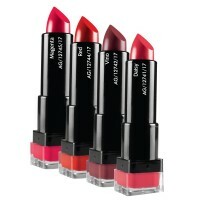 Moisture and colour Intense Lipstick MOISTURE+ LIPSTICKS A rich, colour intense lipstick that offers long lasting moisturisation. Enriched with Moisture+ Complex for long lasting moisturisation. Also contains nourishing vitamin E and Annique’s exclusive green Rooibos extract to soften, soothe and comfort your lips.